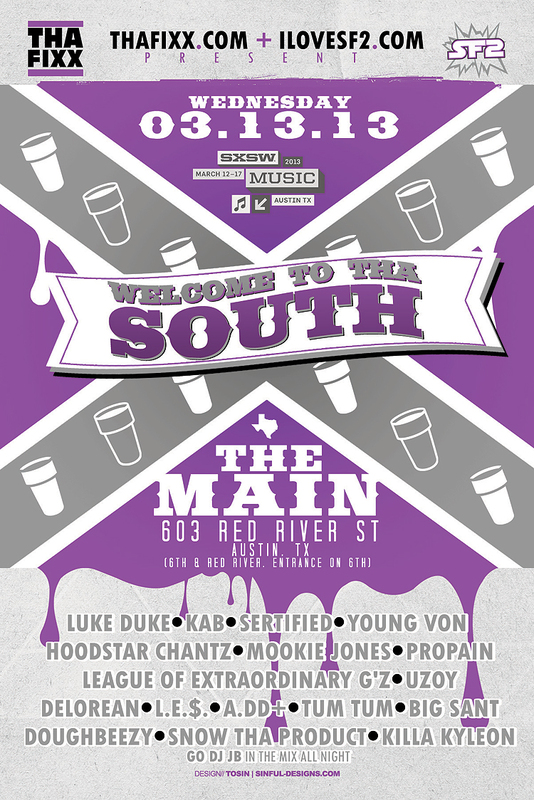 Its our 3rd year having an Official SXSW Showcase and we are excited to kick off the week in Austin with a BANG!!! The line-up is diverse with some real Heavy hitters and we have some special guests that will be in attendance! NO hints! So come out and celebrate with us! Real talent from the SOUTH!